The government of Australia, after years of court proceedings, has decided that Pastafarians will be allowed to wear religious headgear in ID photos. 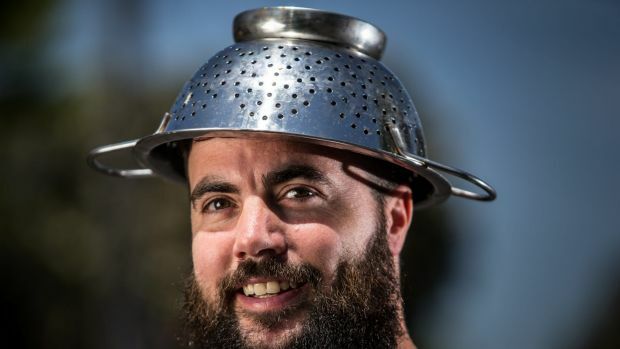 A few years ago, a member of the Church of the Flying Spaghetti Monster Australia (CFSMA), was allowed to wear his headgear (colander) when photographed for his license, but later forced to surrender the license for a replacement, without headgear. Preshalin obtained his NSW driver’s license last year, and, at the time, was permitted to wear his religious headwear for his photograph. 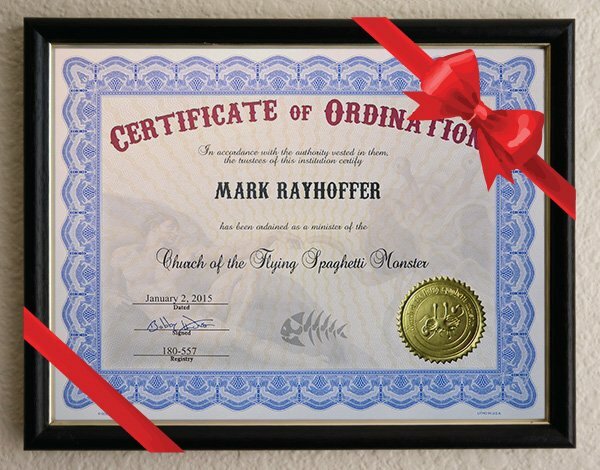 He has now been informed that he must surrender his present license and have a new photograph taken without his religious headwear, as the Church of the Flying Spaghetti Monster is not a ‘recognised religion’. The CFSMA has been fighting in court ever since, and today they were informed that a decision had been made to allow Pastafarians equal religious protection. Victory! On behalf of the CFSMA I am delighted to announce that the Hon. Melinda Pavey, NSW Minister for Roads, Maritime and Freight, has confirmed that the present policy enforced by RMS regarding religious head coverings in driver’s licenses (that specifically named Pastafarians as being subject to discrimination by not allowing our chosen head covering to be worn) will be changed. The new policy will reflect the fact that NSW Government Departments will show respect and consideration towards all people who wear a head covering. When the new policy is implemented, people will no longer have their stated religion checked against a list of ‘recognised’ religions. 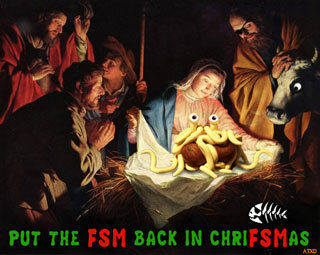 The Church of FSM Australia continues to blow me away. 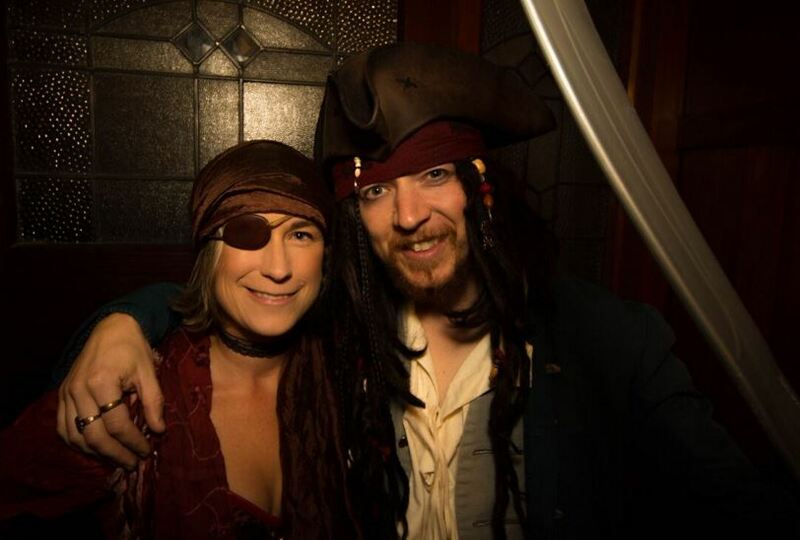 Tanya Watkins, Captain of CFSMA, especially, deserves a round of applause — she took it on herself to lead the fight, and after more than two years, won a victory for Pastafarians everywhere. Sincere thanks, and congratulations, to Tanya and everyone from the CFSMA. 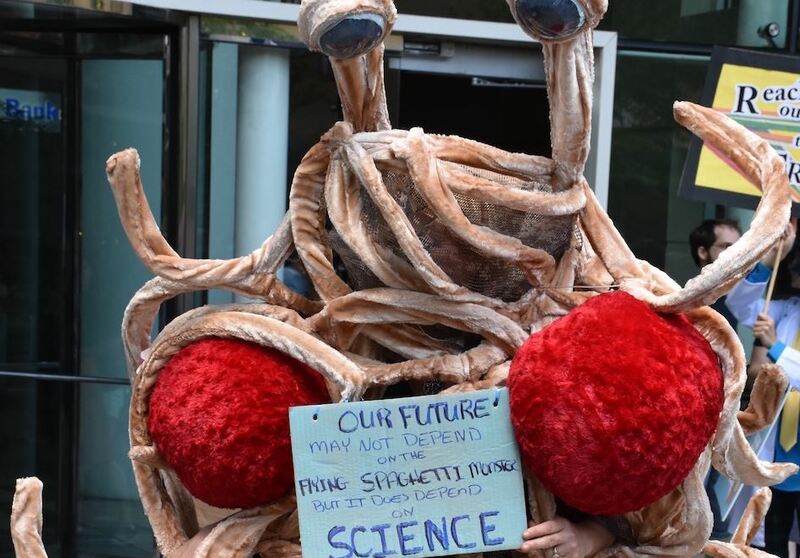 Pastafarians Marching For Science — Contradiction? Congratulations and thanks to everyone who took part in the March For Science Rally. I’m relieved to see democracy in action by a sensible group of people. 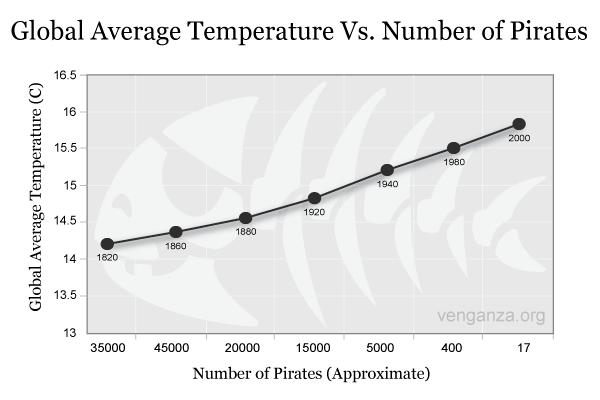 Even though we Pastafarians are skeptical of “science” and “logical conjecture based on evidence”, we respect the idea of science – its search for knowledge – and we admire the people who dedicate their lives to the cause. How then is it not a contradiction for Pastafarians, a faith-based group, to support science, or at least support scientists? 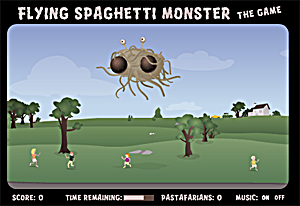 We Believe an all-mighty Flying Spaghetti Monster alters the universe in a way that makes it *appear* that the scientific method is sound, that humanity’s knowledge and its advancement out of caves and into spaceships is a direct result of this process. It appears that we can deductively infer conclusions through experiment and reason. 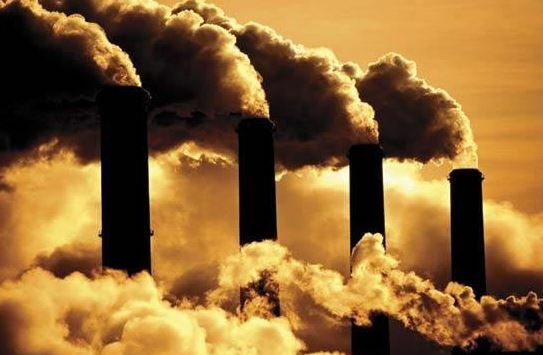 We can’t fault Scientists who have not yet seen the Light – they are doing their jobs, and they are intellectually honest. The same can not be said for some groups, including many groups who have a Belief structure that stems from faith. So why is Pastafarianism correct, when it sometimes contradicts reason? 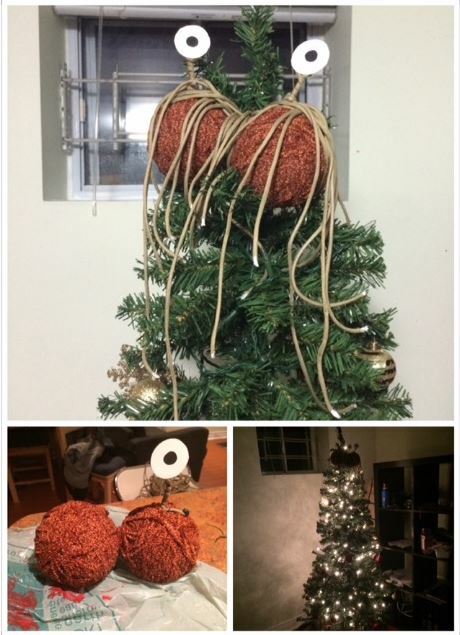 Because the FSM says so, and we Believe1. 1. Circular Logic is allowed in religion. 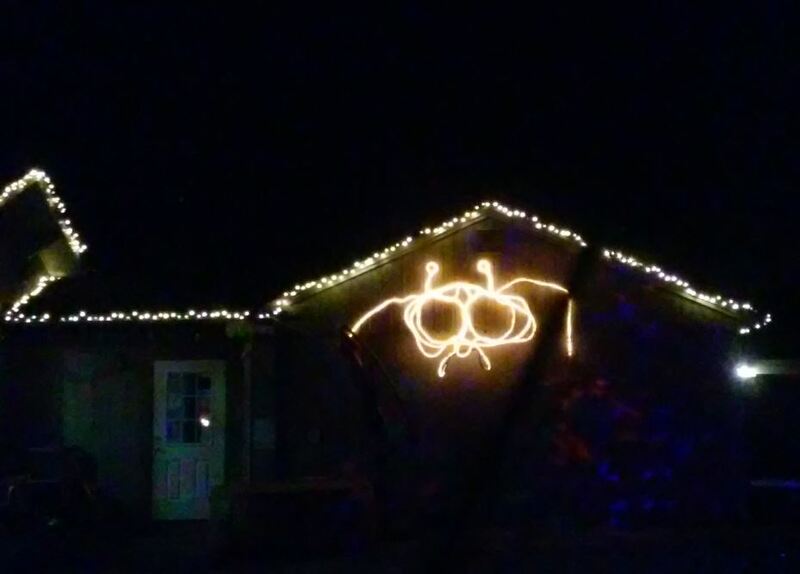 Note — the FSM was spotted in Greenville, North Carolina — article here. 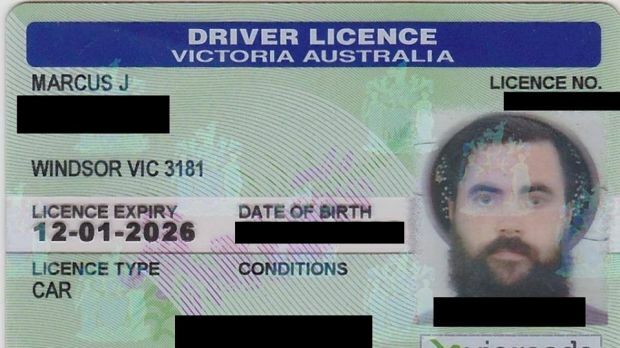 Marcus Bowring out of Victoria, Australia, was successful in getting his Driver’s license photo taken while wearing Pastafarian religious headgear. “I kept the strainer in a bag until it was time to take the photo because I was bit worried that there were a few bigots around that might not accept it,” he said. Australians are interesting — the people are clearly enlightened and have a sense of humor but, at the same time, we hear stories of bureaucratic resistance to Pastafarianism coming from Australia more than just about anywhere. I’ve heard of several denied attempts at getting an Australian ID card colander’ed photo. So I was extra pleased to hear that Marcus had pulled it off. Here’s the full article in TheAge about how it went down. Every small victory adds to the weight of legitimacy. 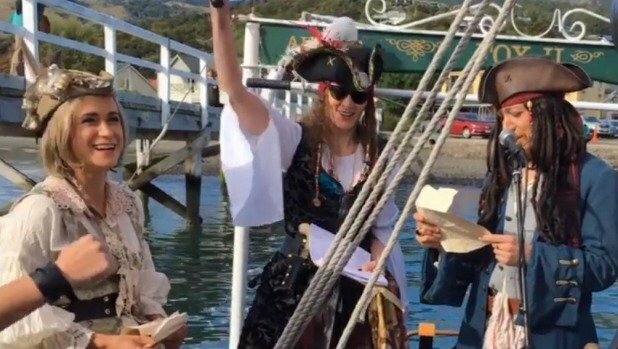 Each wedding officiated by an FSM Minister and each ID photo taken while wearing Pastafarian headgear (and so on) is an implicit acknowledgement by a government worker that Pastafarianism is a bonafide religious organization. Over time, I imagine there will be less resistance to what we’re doing — it’ll become clear that we’re not mocking anyone’s beliefs, only fighting for our own idea of what religion is about, and making a stand against religious inequality. 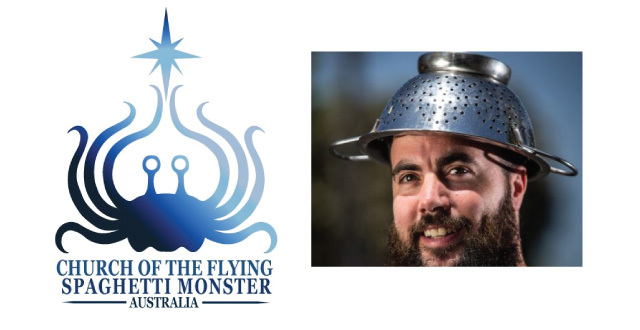 Also, on the topic of Australia — I want to give props to the Australia Church of The Flying Spaghetti Monster. 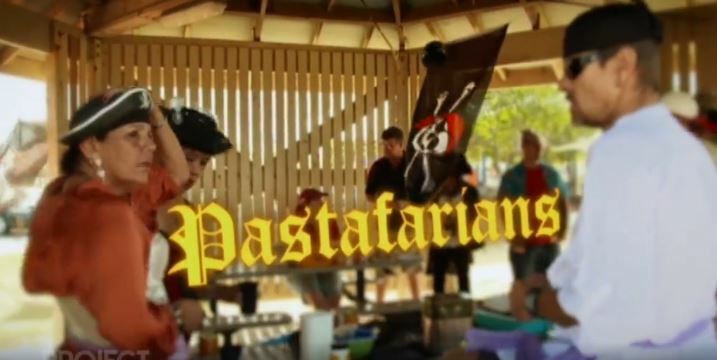 This group is incredibly well organized and engaged in promoting Pastafarianism as a legitimate religion — and they are doing amazing things in ongoing court battles. I would urge anyone in the area to check them out and get involved. • The Holiday e-Card machine is up and running again this year. Also — this season, if you know someone with impeccable character, ready to serve as a spiritual leader, you can nominate them to the FSM Ministry. 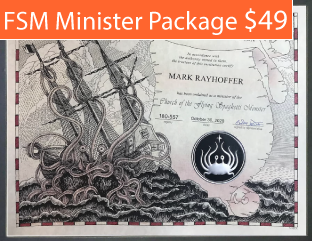 FSM Ministers will receive Lithograph Paper Certificates and PVC Minister’s ID cards, and will be added to the official registry. You can order here. A note on Holiday: years ago, we noticed there was a shift in the way people expressed winter greetings — fewer “Merry Christmas’s” and more “happy holidays”. 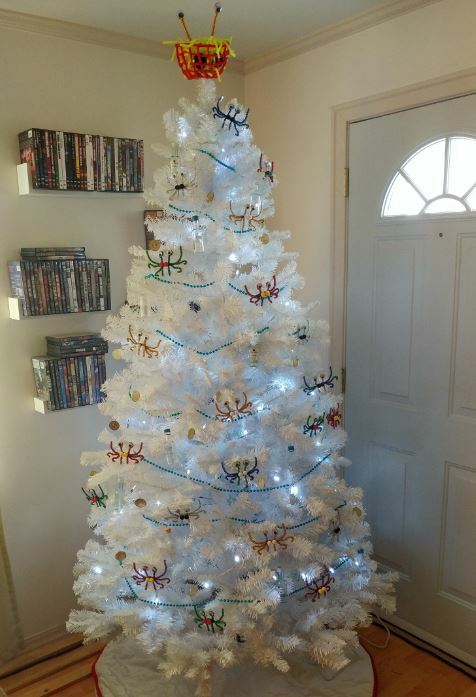 We concluded that these people were most likely Pastafarians (albeit many of them in secret) wishing people a happy Holiday – referring to our winter celebration Holiday, also known as ChriFSMas. Thanks everyone — our Kiva Team just hit $3 Million in loans. What is Kiva? Kiva is a organization that lets us give small loans to people in the third world that need help starting small business. We make small, interest-free loans towards the projects we support, and Kiva combines them to fund the loan to the person who wants to build a small workshop, farm, restaurant, fruit stand, etc. These are interest-fee loans in places like Cambodia, Peru, Uganda — places where traditional bank lending to the poor is unavailable (or predatory). Kiva ensures that the loans are paid out and that the money is paid back. 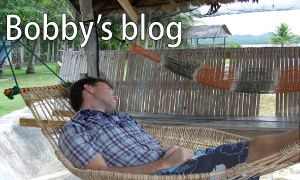 A lot of us feel this is the best way of bringing economic growth to the poorest areas. Nice work everyone! If you haven’t already, please consider joining us here. 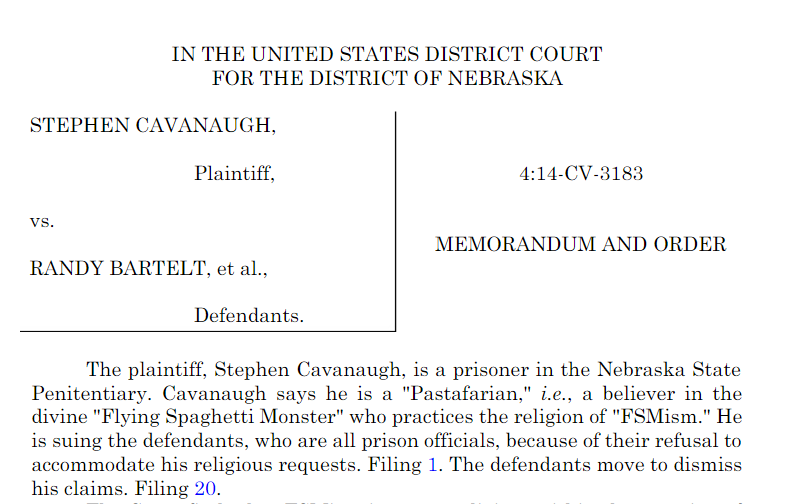 Nebraska’s US District Court says Pastafarianism is not a legitimate religion. More specifically, the court denied a prisoner’s request to practice his religion (FSM), because it is a “satirical argument”, not a legitimate religion. Surprising to me, the prison system does recognize a wide variety of religions (20, I read), including Mormonism and Scientology — so I’m suspicious of any standard they’ve come up with to decide that our religion is not legit. The satire argument is flimsy. 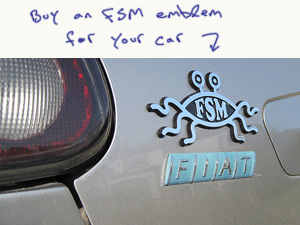 Lots of people do view FSM as satire, but I’m not sure how that disqualifies it as a real religion. True Believers make up a small proportion of mainstream religions as well — the difference is that Pastafarians are more honest when they don’t hold a literal view of their religion. And the prisoner is, I think, a True Believer of the Flying Spaghetti Monster. I get the impression he’s a troubled guy, so I am nervous about his interest in our Church, but I don’t for a second doubt his sincerity. I don’t believe he’s fighting the prison system out of boredom or as some sort of stunt. The full court decision can be read here. 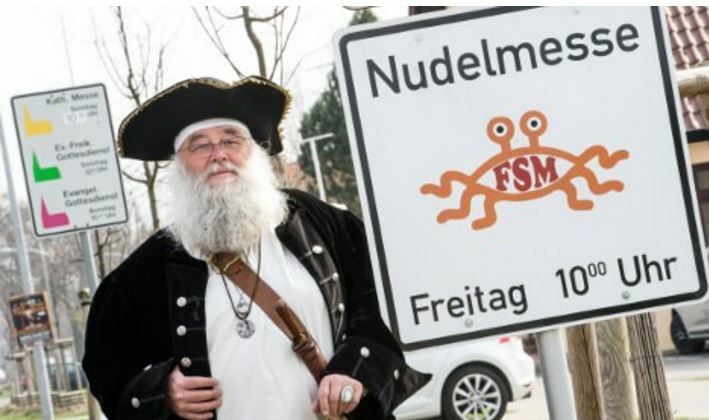 Our friend Brother Spaghettus is fighting for the right to keep Pastafarian signs up. In Brandenburg, Germany, churches are allowed to post signs advertising their gatherings. 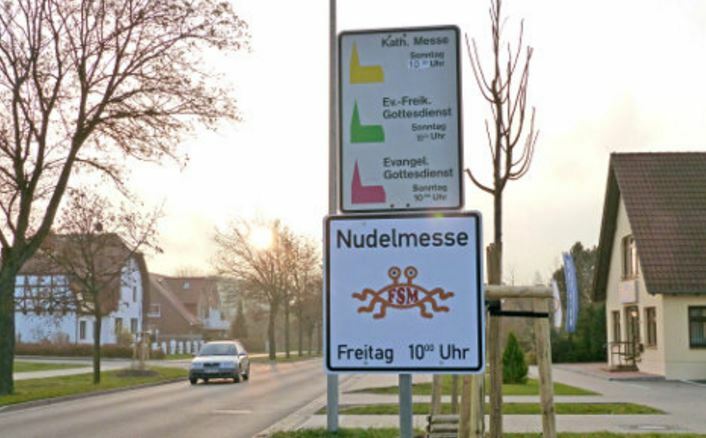 But after the Templin Church of FSM put up signs advertising Noodle Mass, the local government said the signs must come down, because Pastafarians clubs are not a legitimate religious community. Now Brother Spaghettus and his crew are taking the fight to court. I think it’s great, and expect a successful outcome. 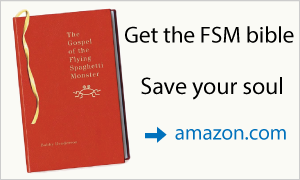 If nothing else, it will be interesting to see the arguments for allowing Protestant and Catholic churches to advertise their meetings but not the Church of FSM. It will be hard for the bureaucrats to devise a test of religious legitimacy that keeps us out. We’ll see! Huge thanks again to our friend Brother Spaghettus for all of his excellent work. 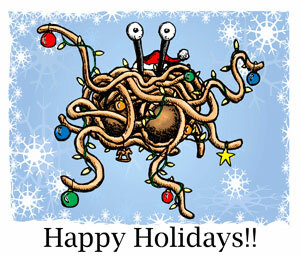 Such a great ambassador for all of us Pastafarians — and he really looks the part, too.